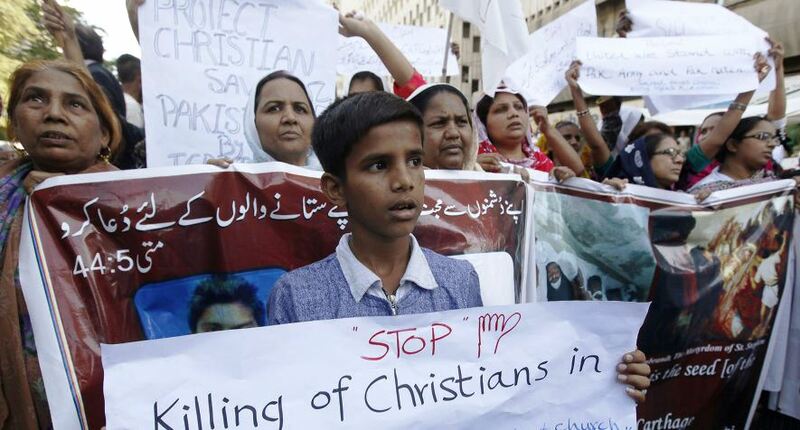 “A mentally ill Pakistani Christian man has been charged with blasphemy,” the Pakistan Christian Post reported a few days ago. On March 10, Stephen got into a loud quarrel with his mother and sister. A female Muslim neighbor got involved, at which point “Stephen started arguing with her as he was out of his senses.” Verbal quarrels with other Muslim neighbors escalated and before long “a few Muslim men … pulled Stephen out of his house and started beating him brutally, gradually joined by others.” Police eventually arrived, only to arrest the mentally unstable Christian, on the testimony of local cleric, Muhammad Mudassar. There is another relevant irony that further documents the discrimination in Pakistan: Muslims who commit actual violence against Christians—as opposed to the latter whose purported offences are verbal or directed against a book—are often acquitted on the claim that they are mentally disturbed. As one example, in 2016, Akba Azhar, a 26-year-old Muslim man, broke into the Victory Church in Kasur and burned copies of the Bible and other sacred books. Although some Christians captured, detained, and delivered him to police—and although Section 295 of Pakistan’s penal code makes it a serious crime to “damage or defile any place of worship” or to “insult the religion of any class of persons”—police concluded that he was mentally unstable and released him.